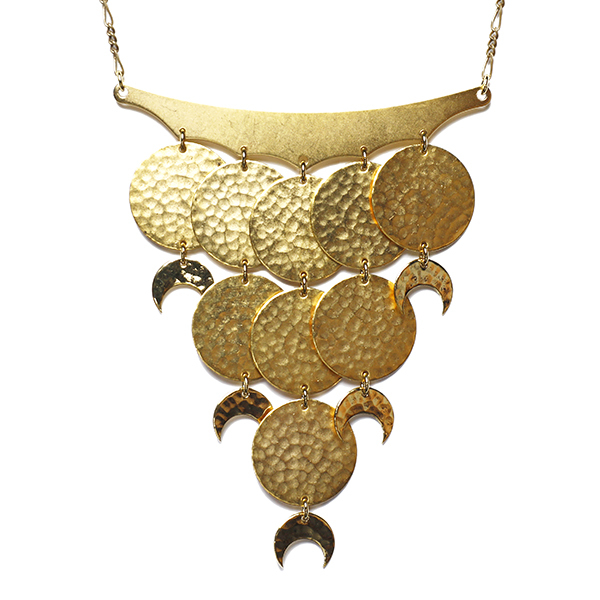 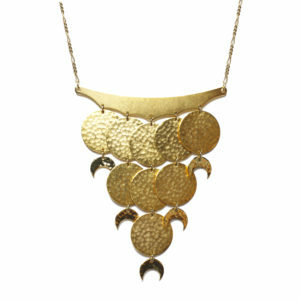 Cascading hammered circles and moon shapes in a 24kt gold-plating on antique gold plated brass figaro chain. 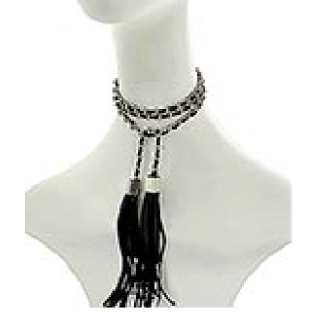 The length is 18 inches with a 3-inch extender chain so that this dramatic necklace can be adjusted to the neckline. 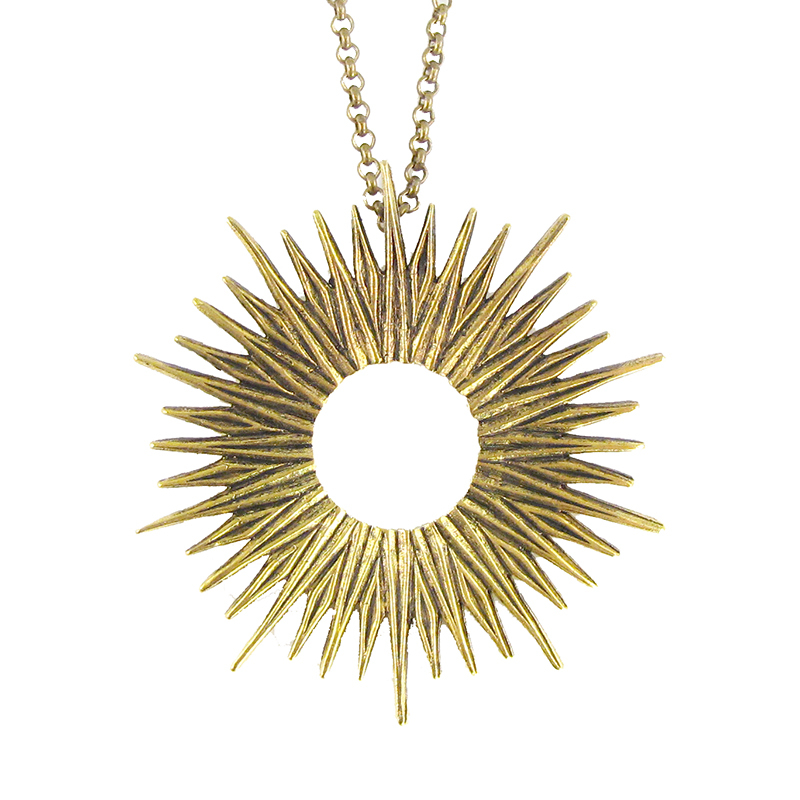 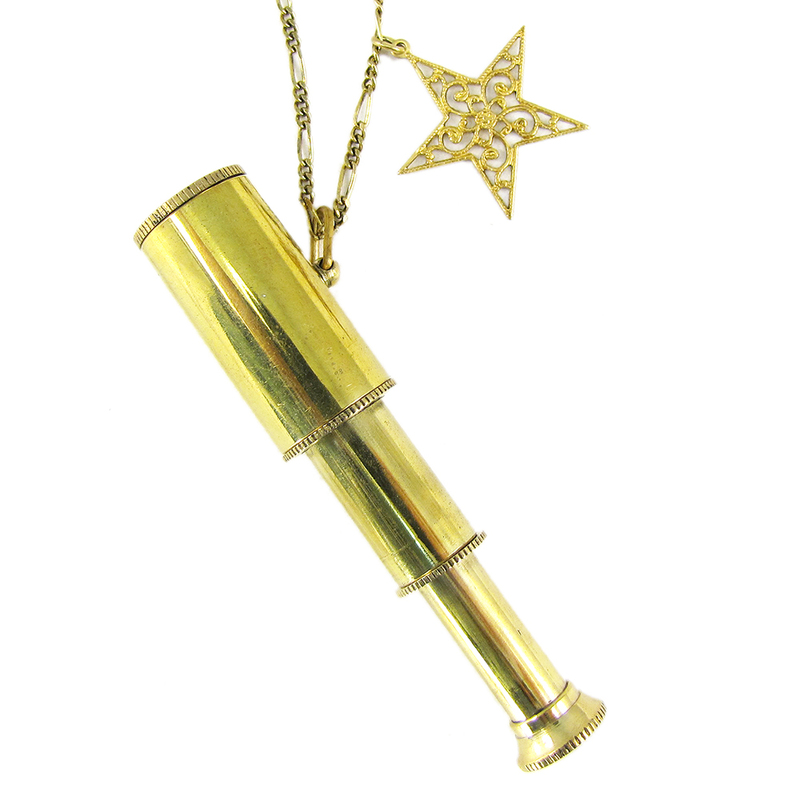 The centerpiece of the necklace measures 4 inches across and 3 1/2 inches long. 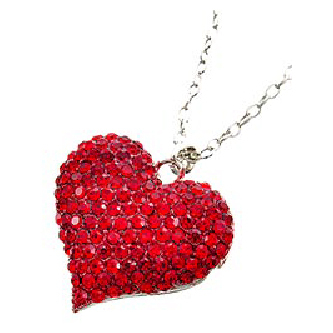 This piece comes with free lifetime repairs.